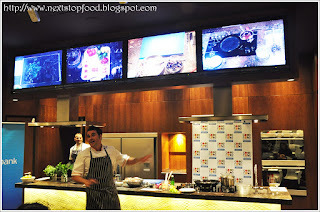 Earlier in the month, I attended a cooking class with Miguel Maestre from El Toro Loco (The Crazy Bull). Or for those who like to watch TV, he’s the Spanish dude on “The Living Room” on Channel 10. Miguel is simply amazing, he was funny, witty, and just a simple pleasure to watch and listen to if I must say. Oh, and of course – a great cook! 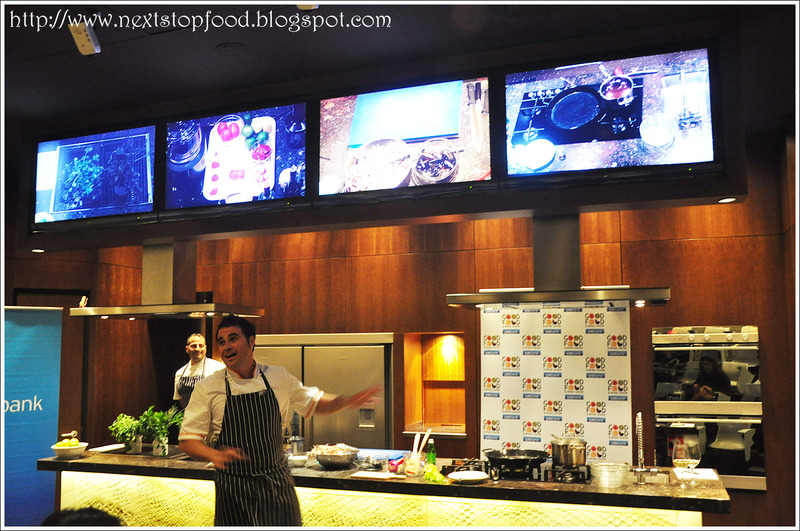 This was an introduction or opening (however you wish to take it) to the Good Food and Wine Show 2013. 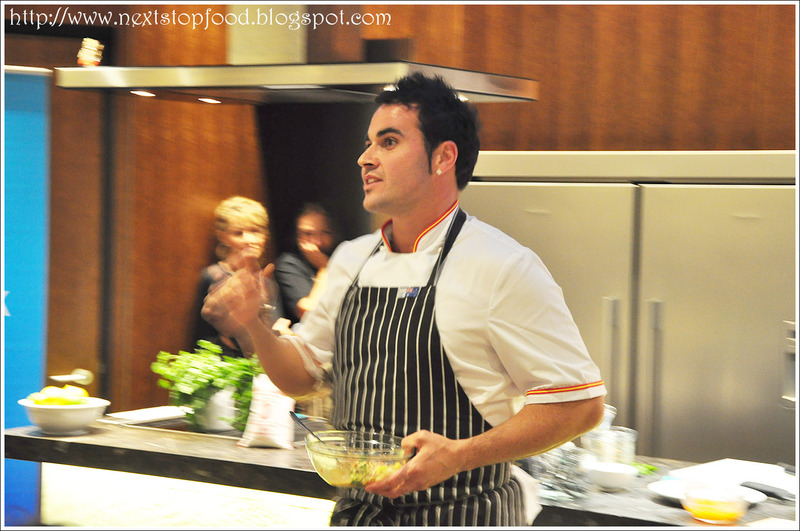 This year they will have new and old celebrity chefs such as Ainsely Harriot, Curtis Stone, Donna Hay, Tobie Puttock, Maggie Beer, Julie Goodwin, Michelle Bridges, and of course … Miguel Maestre! ANNDDDD … because last year’s Cheese Alley was such an awesome success. This year, the Cheese Alley will have a larger seating area and will showcase 14 of Australia’s best cheese makers. So, all you cheese lovers should be feeling all gooey and excited for all that!! There’s plenty more to see, taste and try for 2013! For more information do visit the Good Food and Wine Show website. 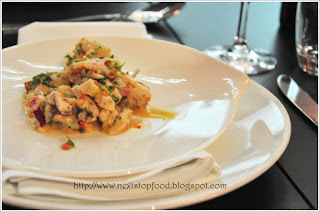 So … allow me to share the Kingfish Ceviche Miguel had shared with us! This was a great dish, perhaps a good one to keep up your sleeve ready for when summer hits again as it is starting to get so cold!! It was a hit with flavour, with some sweetness then ending with another hit as you take the shot of vodka after. 1. Stir water, sugar and star anise in small saucepan over low heat, until sugar is dissolved. 2. Add potato, boil gently until potato is just tender – drain. 3. Place in a bowl, drizzle with lime juice. 1. Place oil, celery, chilli, garlic, ginger, coriander and half the lemon and lime juice in a small processor. Process until smooth. Place in a small serving bowl. 2. Add fish, onion and ice cube. Stand for 4 minutes – this allows acid from the citrus juice to cook the protein in the fish. 3. Place a shot of vodka in each glass. Add a splash of cloudy citrus juice from the fish. 4. Serve ceviche with sweet potato and vodka shot. 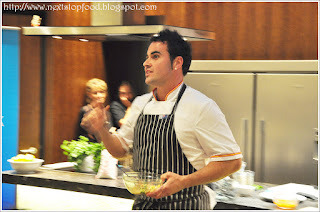 Next Stop: Food was invited to the Good Food and Wine Show Cooking class with Miguel Maestre. I know right!! Complete hit and bang ... woah! :D hahaha!